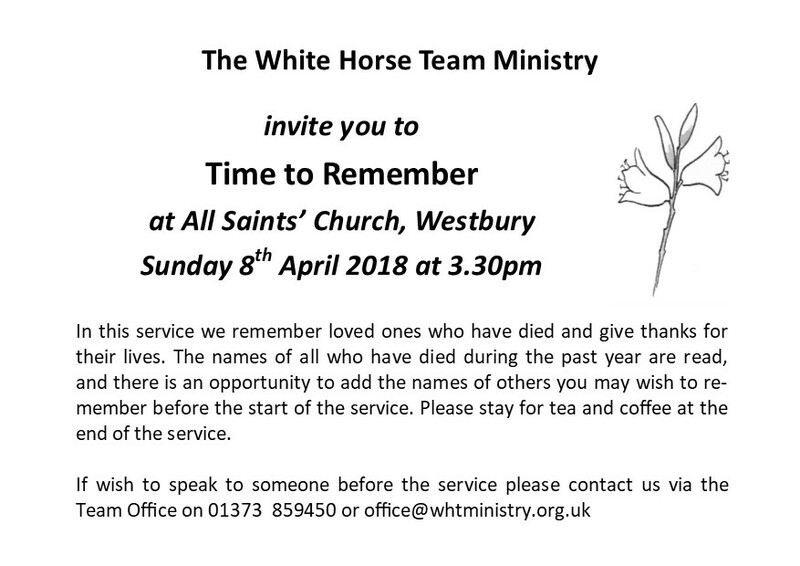 You are invited to join us at All Saints’ Church Westbury on Sunday 8 April at 3.30pm. At this service we will remember all those who have died in the past year. 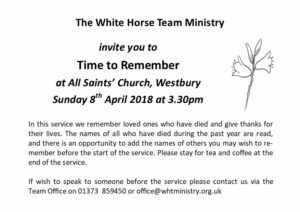 There will be the opportunity for you to add the names of others you may wish to remember before the start of the service. After the services tea and coffee will be served. 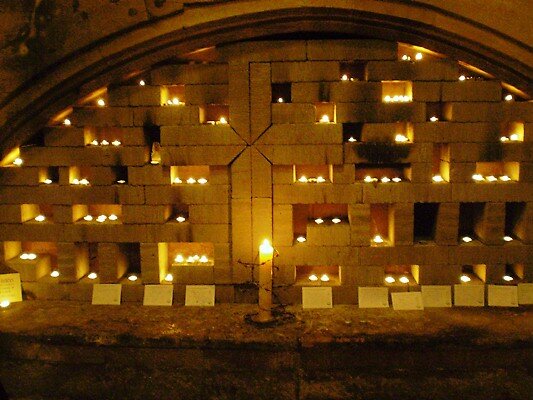 If you wish to speak to someone before the service please contact us.